Hatcher Mountain Trail is a remote connector between the Cooper Road Trail and Hannah Mountain Trail. 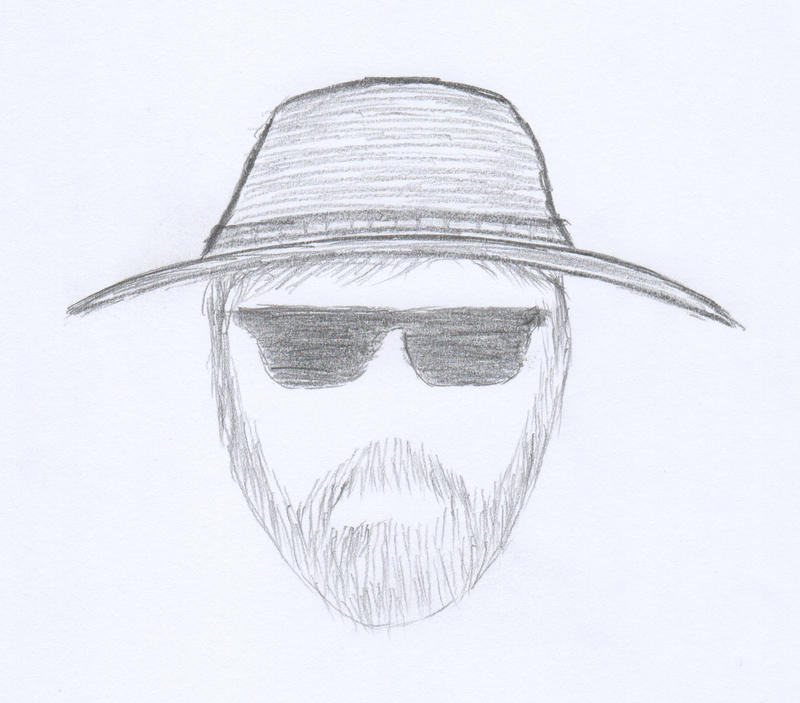 It can be utilized in a number of loop possibilities starting both from Cades Cove and Abrams Creek Campground. It is also one of those trails a 900 miler will hike at least twice. 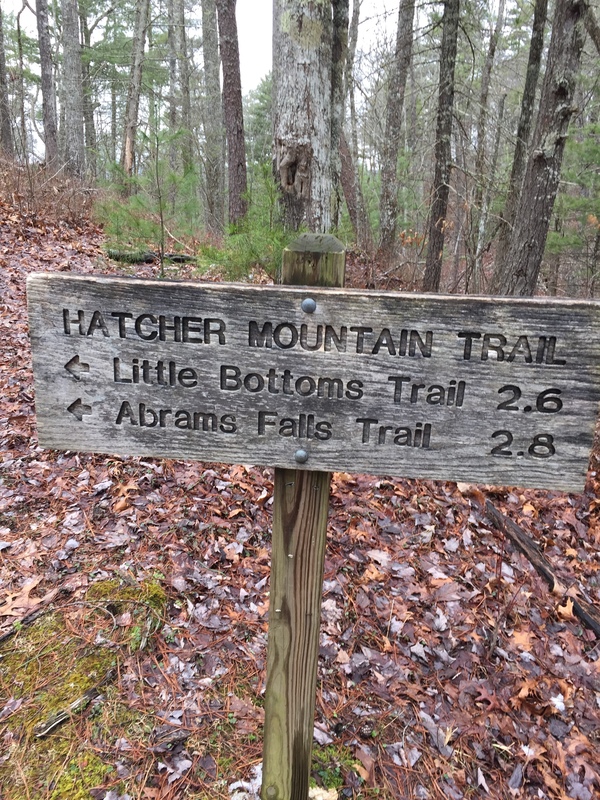 The original date of this hike was part of a loop hike that included Cooper Road Trail to Hatcher Mountain Trail to Abrams Falls Trail. 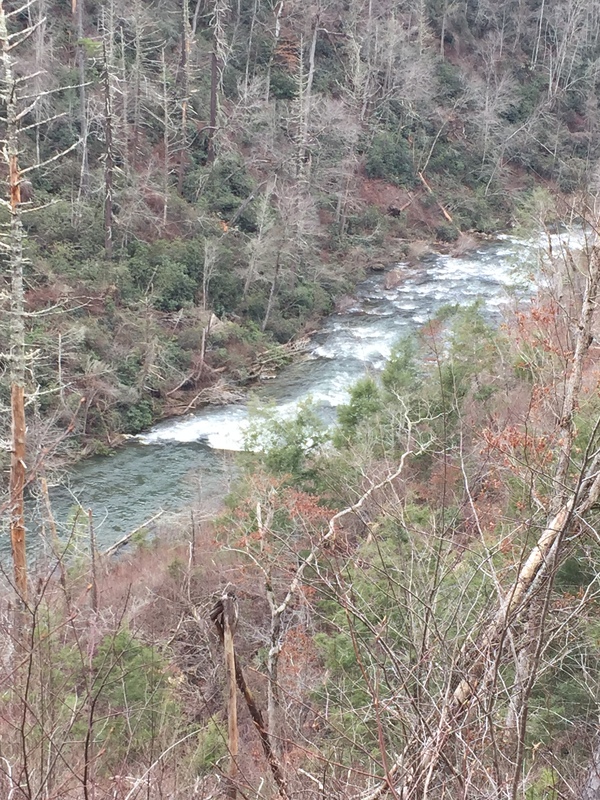 There are no major water crossings nor are there any campsites on Hatcher Mountain Trail. The closest campsite is CS#17 about a half mile down Little Bottoms Trail. The section starts at the intersection of Cooper Road Trail and Bear Cane Trail and heads southwest in a gently steady descent and continues to be a very pleasant hike for the entire length. At about 0.5 miles, the trail comes out on a ridge with views across to Chilhowee Mountain, which is the ridge that hosts the Foothills Parkway. At 1.0 mile, the landscape opens up to great views due to what I presume was a windstorm or tornado of some years back. 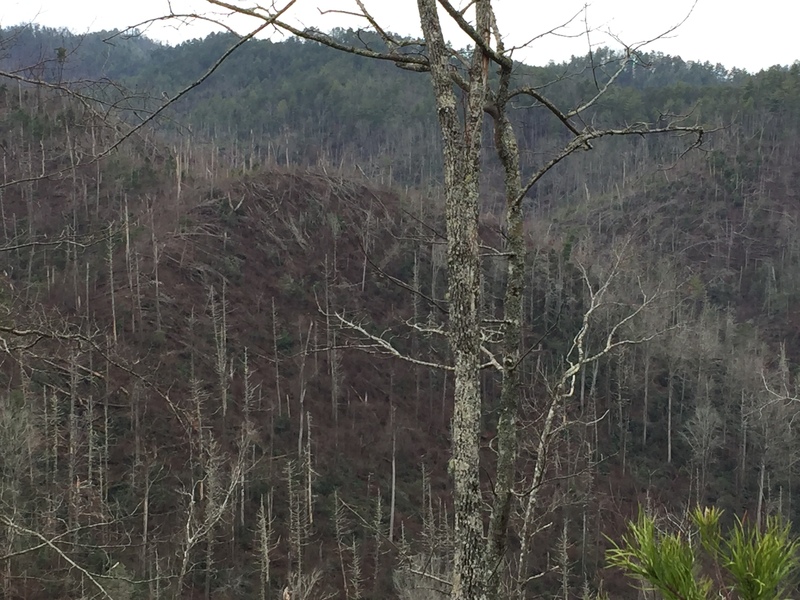 The evidence of this storm is prevalent throughout this end of the park and can be experienced especially on the Beard Cane Trail and in several other spots. Here the trail is in good shape with very little underbrush and quite a but of new pine tree growth. 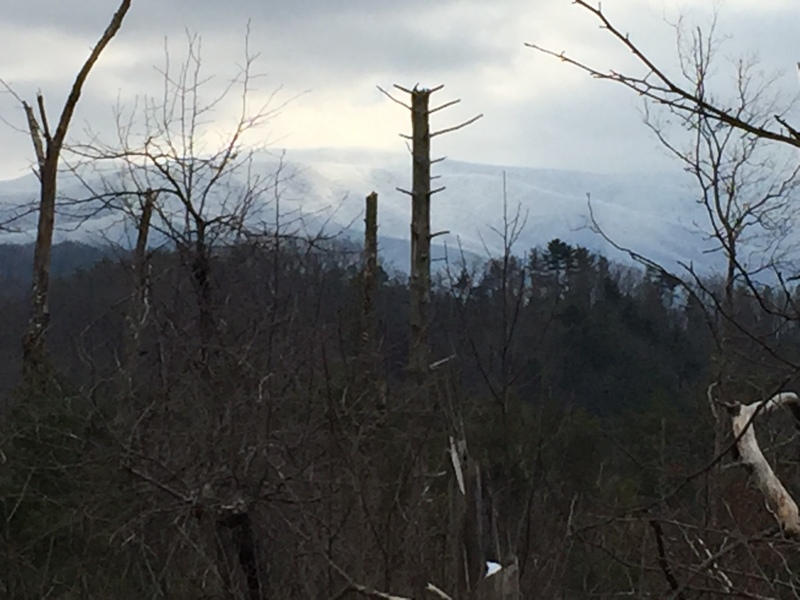 Just past 2 miles, the views to Chilhowee Mountain continue and you can see how widespread the devastation from the windstorm was across to the next ridge. Here also you begin to hear the river music from Abrams Creek down below as it comes into view. The descent continues to the intersection of Little Bottoms Trail at 2.6 miles, which leads to the Abrams Creek Campground. The trail comes gradually closer to Abrams Creek until it ends the the trail junction of Hannah Mountain Trail and Abrams Falls Trail. 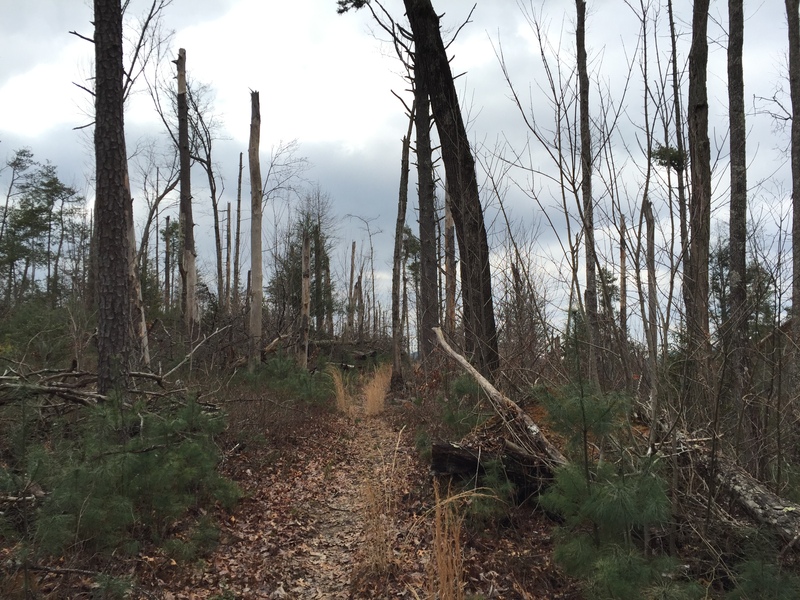 This entry was posted in Trail Log and tagged Hatcher Mountain Trail on March 19, 2016 by blogginggazelle.